Venango Steel Inc can provide manufacturing and repair solutions that include both heavy and light fabrications, light to medium machining, and OEM quality parts from either our laser or Oxyplasma tables. All of these can be delivered on our truck or yours, to the markets we serve. Our facility, complete with our overhead crane system, allows us to handle assemblies weighing up to 22,000 pounds. 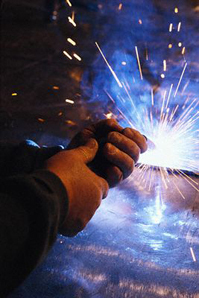 We will also provide repair solutions in a cost effective radius of our physical plant. We can build light to medium weldments, form sheet metal, and heavy plate, including two inches thick, miscellaneous metals, as well as retrofit machinery for safety or OSHA requirements. We can build light to medium weldments, form sheet metal, and heavy plate, including two inches thick, miscellaneous metals, as well as retrofit machinery for safety or OSHA requirements. We have designed our operation to permit the plant to integrate prototype projects seamlessly into our daily production, minimizing interruptions and costly down time due to engineering cross over times. We fully utilize our SolidEdge, Autocad, Sigmanest, Diamond Soft, and MTC ProNest software to maximize our ability to deliver quality engineered products to all our customer specifications. Our fabrication and metal forming work cells are constantly going through stringent quality check inspections to make sure they are compliant with all our customers’ specifications. We maintain our business with the highest level of integrity and professional business standards. You will find Venango Steel to be very competitive in today’s marketplace. We pride ourselves on constantly striving to provide quality parts, utiliziling quality material and superior workmanship. From a confidentiality standpoint we treat all customer information as private and offer proprietary agreements upon request. For more information on the services we provide or questions of a technical nature please contact us at 814-437-9353, or utilize our contact us now page click here.